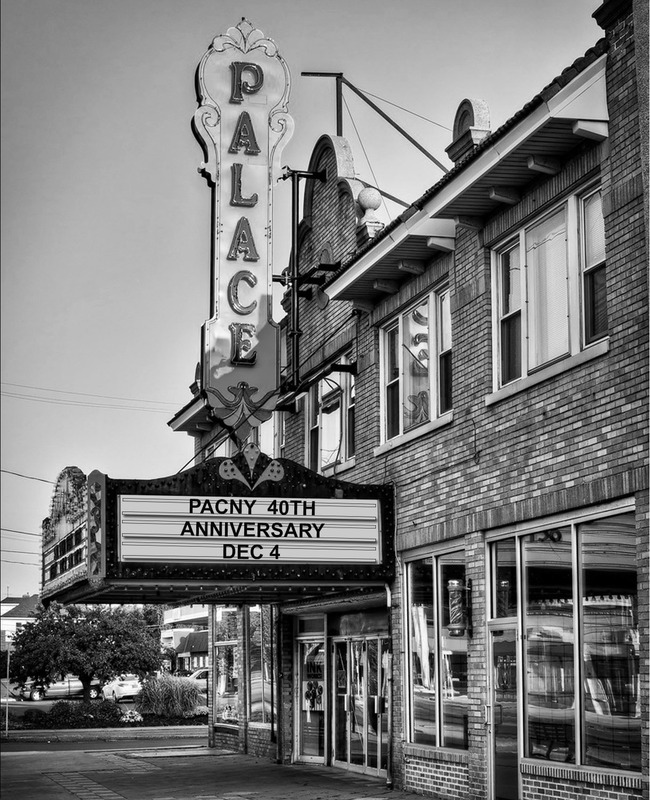 PACNY’s 40th Anniversary Celebration – Sean Kirst’s Article In Today’s Post-Standard – And Extended Registration! 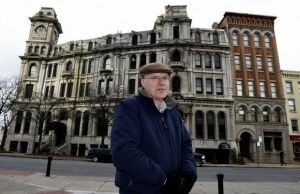 PACNY is pleased to share a link to today’s (2 December 2014) Post-Standard and syracuse.com article “How We Almost Leveled Hanover And Armory Squares: PACNY’s 40-Year Effort To Stop Reckless Demolition“, written by columnist (and 2013 PACNY Sacred Places speaker) Sean Kirst. In the 1960s the city of Syracuse made plans to demolish Hanover Square and Armory Square. The Landmark Theater on South Salina Street (Loew’s State Theater) was marked for demolition, just like the other theaters nearby that had already come down. 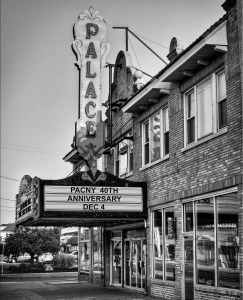 In his column today, Sean Kirst offers a preview of PACNY’s 40th Anniversary Celebration Thursday at the Palace Theatre. A panel of experts — moderated by Centerstate CEO president Rob Simpson — will recount four decades of efforts to preserve the best of our region’s architectural legacy, both the successes and the failures. You have to take a look at what we almost lost to fully appreciate those who intervened. 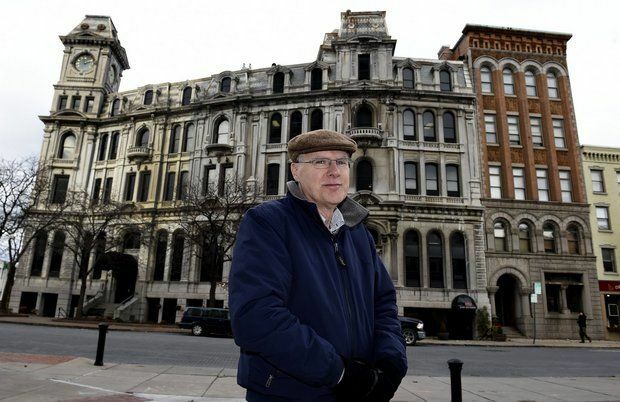 Monday, photographer Ellen Blalock and I met Dennis Connors at Hanover Square in Syracuse. We admired the elaborate stone facade of the Gridley Building, built in 1867, and the ornate detail of the elegant Gere Bank Building, just next door. In a plan from the mid-1960s, they were supposed to become rubble. No kidding. That’s straight from the “Central Syracuse Illustrative Plan.” I brought it along when I went to speak with Connors, curator of history for the Onondaga Historical Association. David Harding, an old friend and a landscape architect with QPK Design, came across that plan not long ago, while doing some research. He marveled at this once-prominent civic vision for a downtown that never happened — fortunately — and then sent me a copy.